Take a minute to sign up for the free newsletter! You'll receive exclusive coupons, last minute deals, and fresh new ideas for upcoming holidays! I promise to use it only to send you Gift Ideas Muse E-Zine!. She's a special kind of lady so you'll want birthday gift ideas for women that are unique and extraordinary, just like her! Express to the world how important she is to you and how much you admire and love the woman she is with the gift you choose! By focusing in on what she loves most and spends her time enjoying, you can find great birthday gifts for women that will be a perfect fit! When she realizes you took time to focus on her unique qualities and traits, you will make her special day as special as she is! Find a painting, sculpture, or rare piece of art that will remind her of something she loves (like dolphins, flowers, sunsets, etc)… or a memory she is fond of (like a painting /photograph of a place she has visited on a grand adventure… or pick a place she dreams of traveling to and use this as a promise of a future adventure somewhere!). You can also try to paint something yourself. A piece of art created by you will be a cherished present she will love. Any bath and body products are simple and easy birthday gift ideas for women. You can find great spa gift baskets filled with surprises! …or create your own gift basket with sweet scents, soaps, candles... maybe throw in a soft bathrobe or plush towel, bubble bath, etc... and throw it all in a home decor basket! Jewelry and gifts inspired by the symbolic birthstone color of the birthday girl's birth month have extra significance and lasting appeal. Everything from rings, earrings, necklaces, and bracelets to jewelry boxes dripping with her birthstone will be extra special! Get her an inspirational book, a fun cookbook, a book by one of her favorite authors, or a book that you have read and loved and want to share with her! You can never have too many candles. Choose some scented candles that will fill her home with sweet aromas. A computer is an essential item for everyone. A laptop would be a practical and amazing gift. If she already have one, get her a cool accessory for the computer she already has, like a hip computer bag, lap cushion, or a new flash drive! Have it personalized for an extra touch! A really amazing adventure is truly a gift that will stay with her forever. Choose from something relaxing like brunch on a yacht or a sunset sailing cruise… or something exciting like bungee jumping, sky-diving, river rafting, or kayaking. A Wine tasting trip is always a fun treat too! Flowers and plants bring pleasure and joy to a room and are wonderful birthday gift ideas for women. Get her some of her favorite flowers or a cool plant for her living room. Choose something she would be interested in and get her a gift basket filled with lots of smaller surprises… you can choose everything from food & wine baskets to spa, golf, or starbucks... and so many more unique items! Some people are really hard to buy for. A gift card to the movies, her favorite clothing shop, electronics store, or restaurant are all birthday gift ideas for women you can't go wrong with! 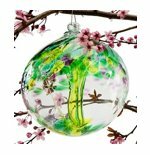 Unique and beautiful decor for her home is a great gift. Be sure you know her tastes and choose something to compliment the style she has already decorated her home with. Get her an ipod filled with her favorite music… or if she already has one, cool accessories, like an ipod skin or speaker dock are also great birthday gift ideas for women. Giving a gift of many small presents each representing a year she has been alive is a cool and unique idea! If she is turning 21, give her 21 small gifts.. 30, 30 small gifts, etc. Get creative and throw in some really cool surprises like make-up or perfume. Her favorite perfume is a great gift because it is usually expensive and she will be delighted she didn't have to buy it this time around! A personalized gift can be either a thoughtful and meaningful present like keepsakes, pens, or photo frames…. or a humorous and fun gift like t-shirts, coffee mugs, license plates, or gag gifts. A cute little purse holder she can carry with her and use to hang her purse when she is out and about instead of putting it on the floor is something she will use all the time! Choose an event she would love and purchase tickets. Be creative, you can buy tickets for everything from vacation flights, sports games, movies, plays, romantic train rides, balloon rides, & music concerts…to festivals that are specific to her interests and passions, such as a food, music, or arts festival. If you are on a budget, there is no reason this year can't still be special! Check out these inexpensive birthday gifts and homemade birthday gifts for a unique and creative present that will send a meaningful message without costing a lot of money! Share YOUR ideas and stories here! Copyright © 2012 Gift Ideas Muse. All rights reserved.